Do not stroke/cycle the stationary hydraulic lash adjusterplunger without oil in the lower pressure chamber.Do not allow the stationary hydraulic lash adjuster to tipover, plunger down, after the oil fill. 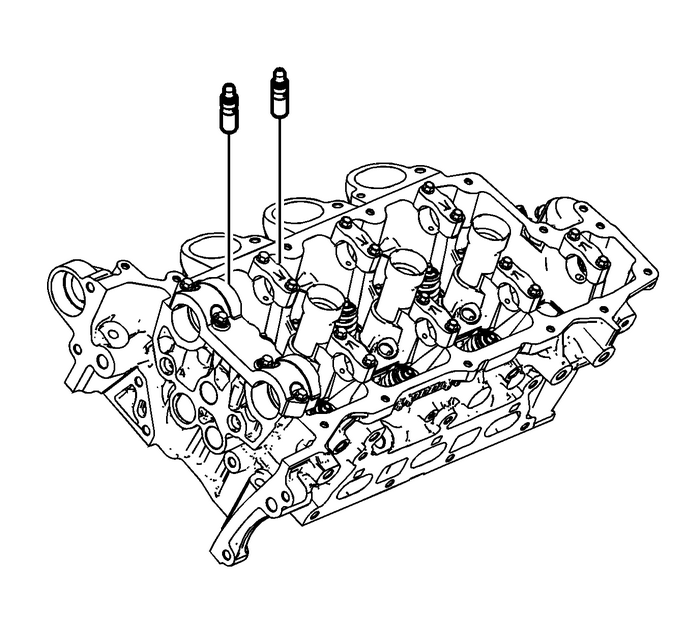 Remove the valve lifters (SHLAs) from the cylinder head. Ifthe lifters are to be reused, keep in order so they can bereinstalled in the same position.